One of the essential tools in nail art is a dotter. It allows you to create perfect dots in an instant. But aside from the usual dots that it creates, I've thought of showing you other designs that you can do using nail dotters. 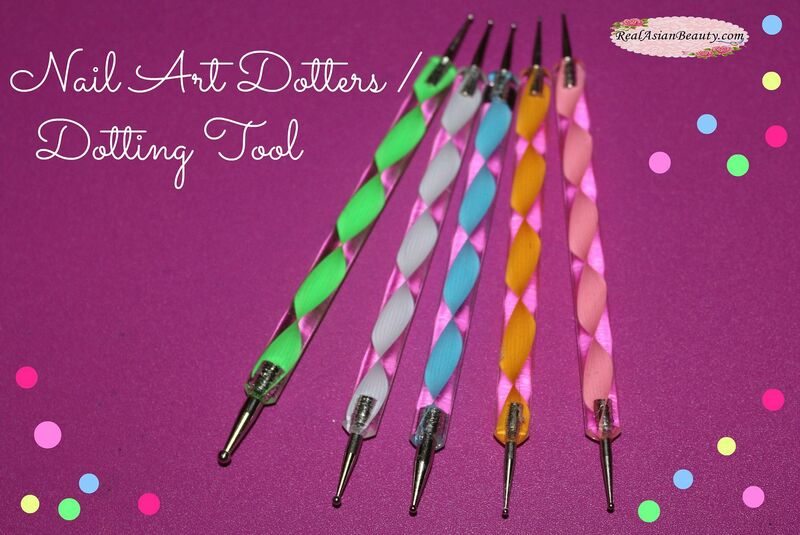 Dotting Tools usually come in a set of 5, 2 dotters per stick. They come in different sizes to allow you to control the size of your drawing. 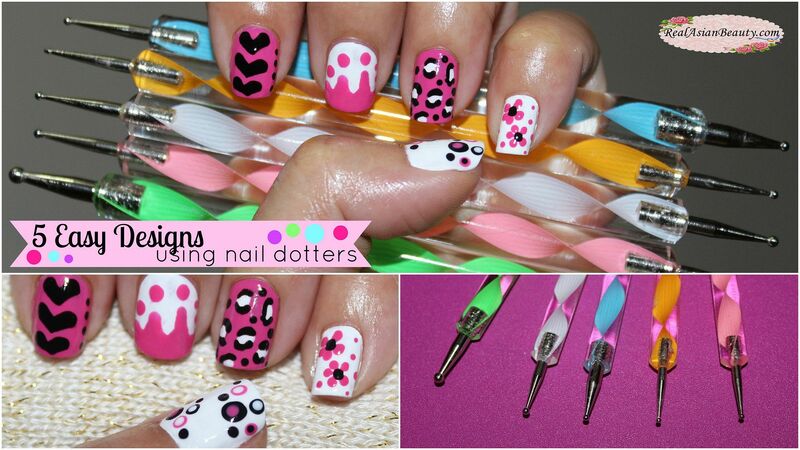 Do you know any other design using nail dotters? Let me know so I can try it, too!  Oh, I also decided to use my logo as watermark instead of the usual text. Hands off to bloggers who watermark their photos using their logo because it takes more time... But at least, the photos are safe. :) What do you think?